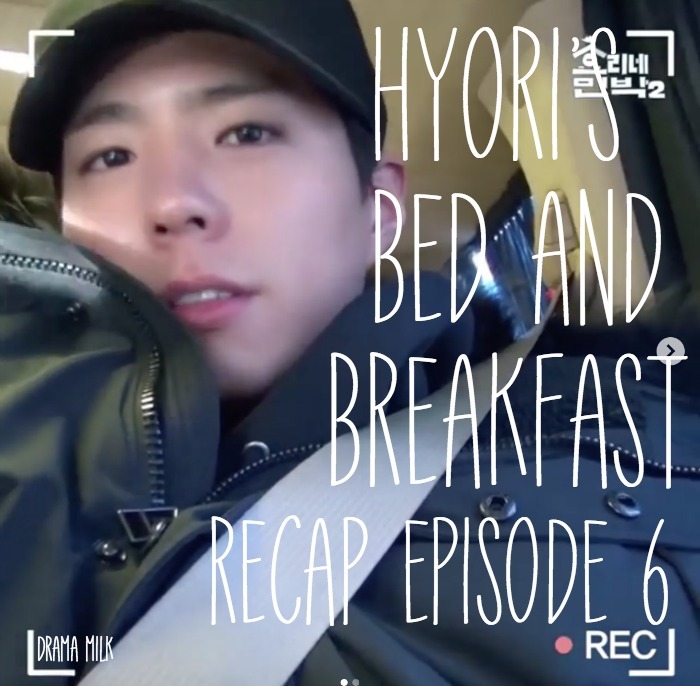 This post for Hyori’s Bed and Breakfast 2 is super late, it should have gone up on Sunday, but we added Live and The Great Seducer to our watch list which kind of threw our schedule off. I love this episode though because it is the one where Park Bo Gum finally shows up! He even gets to drive some customers to the beach. This is a quickcap, so we are posting it as soon as we finish it for all my peeps who watches raw and don’t have access to subs. I will go back and edit it when I get the chance! UPDATES: Episode 6 episode is subbed on On Demand Korea for all the N&S American viewers! Recap of the previous episodes with the two late night checkins, singing, fun in the tent, and a bunch of new customers showing up. Why did you apply? He says he is Hyori’s fan and Jeju is pretty and he wants to do it. He likes to eat a lot, ddukgu, curry, he can clean and make rice. He never used a coffeee machine before but he thinks he can after watching the show. He thinks he can do everything. He wonders if Hyori will know he will come? He just wants to show up like, Tadaa! Without the guests or anyone knowing. The guests try to tackle the hill, but the taxi cannot go up there. The young women have to get out because the taxi cannot get up the hill in the snow. They call SS and he tells them that he will come to their rescue. He gets in his car and sees them as soon as he comes out of his house. The girls see him and smile and greet him. They all hop in and are pretty quiet in the car, but they talk a little becasue they think they could have just walked to their home, they were very close. Meanwhile Yoona is just peeling oranges at home on the floor. Will she give any to the dogs? All of a sudden all the dogs start barking…perhaps SS came with the guests? Yoona moves all the oranges to the other room and they greet them as they all come in. The girls are so bright as they smile and sit on the couch. 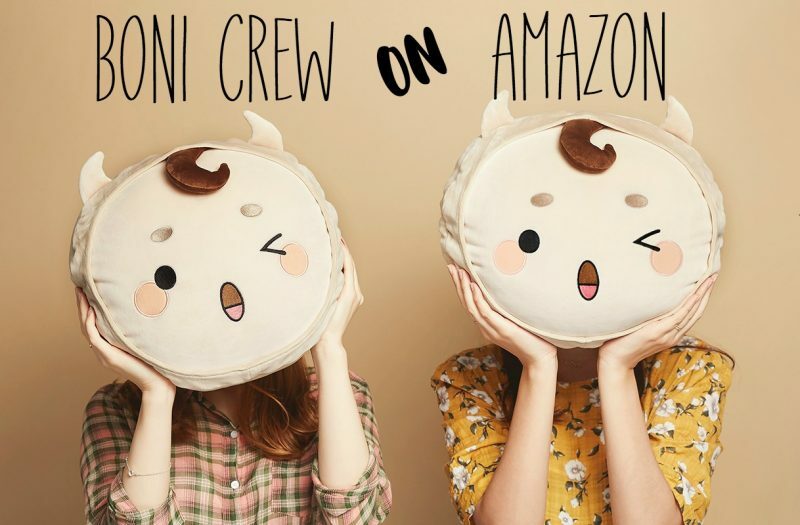 Their names are Minju, Soo-an, ut-dum, da-om. They ask them their plans adn if they ate. They haven’t eaten yet. They give Hyori some bread they brought from Dejang and they get a tour of the house. It looks like the girls will be staying in the bedroom upstairs. The girls are high school best friends who first met in midle school, but they all went to different high schools. One of the girls nickname is ant because she works so hard. Hyori says she used to have rabbit teeth like one of the girls when she was young, but she had to correct it when she debut. The girls are engingeering, visual arts, architects, all different majors in college. They are all different. Hyori comments that they are like FinKL since they are all different. The new male customers show up and drive into the meenbak, they are excited to see the tent in the yard. It looks like there are 4 men who are of various ages. They are all coworkers, one is a surgeon and the others are male nurses. Hyori says it is the first time to see male nurses. The oldest is the surgeon and tells them that they all work together on a surgery team. They will be there for 2 nights and 3 days. So everyone leaves on Sunday. Hyori tells them that it will be a little uncomfortable since they have a lot of guets. They wanted to paraglide but they cancelled it. SS suggests that they can try their hot tub and eat a lot and sleep a lot. Then we see that the surfers have returned. They say hello and Hyori takes them outside to the hot tube. She tells them to add snow if it is too hot so the surfers do that and then they sit and relax in the hot tube. Hyori thinks they need to find something for their guests to do, so she goes outside and tries to find something tha the guets can slide on. She finds a yellow box and tries to slide in it, but it doesn’t move. So she asks the 4 girls to push her, but it fails and Hyori falls to the ground. She is okay but, OMG, she hit the ground so hard. They reconfigure the box to look more like a sled and try it out, but it doens’t work. The girls do have fun trying to push it though. Cut to the new doctor/nurse customers going to the market and buying a lot of food to make sangria. The production team puts a lot of difficult surgery words in the caption and then the translation to regular words below. The surgical words are written in old complex Mandarin, not simplified, so it looks really difficult. They make the Sangria and leave it outside for 8-10 hours. The surfers finish their hot tub time so Daejan FinKL has a chance to get in the tub. They love the tub and they also love the cameras, lol. Then we see the surfers trying to cut the wood. SS gives them some tips and we flashback to SS trying to teach one of the guets how to cut wood from season one. Fail. Fail. Fail. Fail. But he succeeds this time! He breaks the wood with one and it breaks perfectly. It worked! So he does it over and over again. then he hands it over to the surfers and they chop wood like men. A few of the guests go to Little Hala Mountain, but they are surprised that it is snowing a lot on the mountain, so they decide to go to another side of the mountain where it isn’t snowing so much. They find a tiny hill that doesn’t look too tall but they accidentally pick one of the most difficult paths to climb in Jeju becasue it is so steep. They get to the top thouh and look at the scene. BG is a a shopping underground mall in disguise and trist to find some clothing as a gift for Hyori. But he thinks it is so difficult to pick the right one. He buys it ($5) and tells the camera that it was very difficult. It looks like he bought something for all three of the meenbak team. All he has to do is get to the meenbak now. Meanwhile SS is also shopping for the meenbak. He goes to the grocery store and buy a lot of food and a snow slide. Back at the meenbak, Hyori and Yoona start to cook. The young girls ask if they need help but Hyori tells them that they can relax since the kitchen is so narrow. They continue cooking quietly but then they realize that they need soy sauce. Hyori asks Yoona to call Oppa so she runs off right away. SS is still in the market so he can pick it up. But Hyori wonders what she can do in the meantime. She thinks she can use the soy sauce from the jangachi….but it is too sour, so she needs to put something in to cut the sour taste. She tries to put cornsyrup, but they don’t have any so she puts honey. the food must have turned out well because everyone digs in. Hyori wonders if they are just saying that though since they didn’t have a lot of ingredients. But it must be good because everything happily eats it all. SS comes home with the soy sauce and is greeted by all their doggies. But Hyori tells him the man with gangjang is too late. It was a joke though. Two of the guests start to cook chicken and Yoon and Hyori continue to prepare something. SS starts to set a table in the studio, ah, they must be taking a break in their studion to eat. A small table is set up and the mood is peaceful as they quietly eat and talk. SS has to leave tomorrow to go to Seoul to DJ. It will only be for one night. Hyori tells him, “don’t leave” and then sings, “don’t leave” while SS sings, “I will go there.” he says he wants to go to Seoul and eat Seoul food. Then we cut to one of the surfers putting on his jacket. He doesn’t feel good so he lays on the couch. SS goes back inside and wonders about this guest on the couch. he asks his friend about him and the friends say he might have gotten too cold after surfing. SS tells the friends that he might be more comfortable upstairs. Then all the other people can play in the tent outside. SS sets up the bed upstairs with the warming mat and Yoona lets Hyori know that one of the guests is sick. She goes upstairs and starts to nurse the person. She wants to warm up the room for him and tells him to stay inside tomorrow, don’t go surf. Then she tells him that she will give him some traditional medicine. Yoona brings him the tea and calls him Jae-bin Oppa. It is really the best to be sick at Hyori’s meenbak. Meanwhile all the other guests relax outside in the tent. But then we see Gwana stealing cat food and Midal joins. Sam shik shows up later and sees that all her food is gone. then Hyori says cats greet each other by blinking. if you blink your eyes then they will blink their eyes. they blink their eyes back and forth to Sanshik and she blinks her eyes back each time. that is so cool. they wonder if Mimi does it too, but Hyori says Mimi’s eyes are always half open, she has never seen her closing them. Yoona says Mimi has very cute feet though. But it starts snowing a lot so Yoona gets ready to go home. She says bye to all the guests, but the guests want her to stay. they give her one drink and she says it tastes very good. She meets with Hyori outside and Hyori pulls her in the sled that SS bought. Hyori is in pretty good shape because she pushes Yoona all the way to the gate. But…she forgot to bring the door opener, lol. they have to go back. Yoona says she will wait by the door and Hyori can open it from inside. they say their goodbyes and we see Yoona waiting with Suk-sam. Hyori decides to play by herself outside with all the dogs. She hps on the slide and slides with her dog down their drive. It works this time, lol. Hyori runs up and tells two of the guys to try it out, they have two more in the car. So the surfer guys get the other two out and try to surf down the drive. Then more customers start to come out and enjoy the slide as well. Daejun FinKL comes out and have a fun time sliding down the drive in their pajamas. Upstairs, the surgeon checks on the sick surfer. Wow, that is perfect. He makes sure the surfer isn’t nauseous and tells him to let him know if he becomes that way. Hyori goes to the studio and she says time goes by so slowly without SS around. SS thinks tomorrow with be a very long day for Hyori and her eyes get so big at the thought. The one day late friend shows up and tries to fit in with everyone. He apologizes for the late check in and SS talks to him about the sleeping arrangements. They decide that they three friends can sleep in the tent for the night, if they don’t mind and SS gets it ready for them. Then we see everyone sleeping inside. One of the friends keeps the fire stoked for his sick friend. Then HYori and SS tell aech other: Good night Song Joon-ki and SS says goodnight Hae-kyo. then they talk about Song Joon-ki and Hye-kyo. Hyori says Hye-kyo is very pretty, but she is confident that she is funnier. Hyori wants to go to Seoul as well and SS says, let’s go. But Hyori is still sleep. SS starts to put some lip balm on and Hyori says his cracked lips mean more to him that his wifes heartache. Don’t leeeeeeave. SS laughs. But then we see Bo-gum show up at the airport! he has a personal camera and tells us that it is snowing a lot and he will say goodbye until he checks his luggage. Then we see Yoona waking up and going to work. She greets all the guest and sees all the luggage around. Hyori comes in and greets the late customer. His name is Young-il. Hyori has tea with Young-il and talks to him about his friends. They were all hotel management majors. Young-il works in teh fashion industry and his friend passed the detective test and has seen a lot of death so he likes nature a lot more now. The friend comes in and wondres if it is so scary, they guy says it is a lot of stress so he has to tell himself that it is all okay. In the kitchen, there are a lot of people to feed so they make half the rice from the machine and the other half in the pan. Hyroi says she realized the importance of soy sauce in Korean cooking yesterdy. Most Korean food needs soy sauce, spring onions, and garlic. they chop up all those ingredients and put them all in the pot together. Yoona and Hyori start to talk about being a daughter-in-law. Hyori is one so she knows the life. Yoona says she forgets that Hyori is a daughter-in-law, she doens’t look like one. Then Hyori and Yoona talk about seeing family, Yoona doesnt talk to them a lot. She should call them more. They talk about being a better child to their parents. Then Hyori tells her she isn’t about to cry right? Yoona laughs. Hyori says she has to check her all the time. They prepare eggplant rice with a lot of sides. Then we see an airplane flying through the crowds. Someone is coming! park Bo-gum gets in his car and starts to drive around everywhere. Bo-gum says So-gim Taek (Sogil wife or Sogil Lady). The four young friends are eating happily at the table. Hyori asks them if they are going to shoot a lot of video, they won’t enjoy if they are always shooting. But they say they like the act of shooting video as well. Then we see Bo-gum walking up to the gate. He presses the gate and covers his face as he waits for them to answer. SS sees the image on the gate and wonders what is going on. he stares at it for a moment and asks who is there. PBG says it is a parttimer. Then he shows his face and SS runs out. SS says it looks like Park Bo-gum? Everyone is shocked, lol. All the guys like it also and all the girls are all like, no! Your lying! Then the gates open and Bo-gum walks in with his super white jacket and his gift. he ties to walk up the road, but it looks like he is anxious and wants to get there quickly. Hyori runs all the way down the drive to meet him so he starts running up the drive to meet her. ALl the dogs take off to meet him to and Hyori stops, wow, it really is Bogum? Everyone goes outside to greet him, SS, Yoona, Hyori are all outside. he is there as a partimer because SS has a schedule today. All the guets are outside as well and all the girls are going crazy as well. It takes the place a moment to calm down a bit as everyone tries to just accept the fact that Park Bo-gum is in the building. Bo-gum sits at the table and they start to think of how he can address them. He can call them noona and Hyung. SS says Bo-gum can call Hyori “Ya” and they laugh. Then Bo-gum presents all the gifts he brought for them. they all talk to him, he says he has no schedule now and they tell him he could have come before, but he tells them that he had a schedule before. He doesn’t know how much help he will be and the girls (Yoona and Hyori) say just him being there is helpful and laugh. SS asks if she wants to go to Seoul and she says she doesn’t want to go to Seoul, she doens’t want to eat out, she just wants to stay at home now. they fill Bogum in, SS will hav to go to Seoul and BG says he can drop him off. SS starts smiling and Hyori says she will be in the back seat. The surfer team leaves to go surfing (all accept the sick one) and the guests tell them to have fun. The girls talk to Yoona, what are you going to do today? And Yoona says she will work with Bogum…are you jealous? But it is a joke. The girls say BG looks like Prince Charming, maybe because he is wearing white? BG comes into the kitchen and Yoona tells them to just work, don’t watch, but that is a joke as well. HYori says she is a bad person because she doens’t want to go to Seoul anymore. Meanwhile, BG tries to introduce himself to all the animals around the meenbak and familiarize himself with his surroundings. Everyone is avoiding him for the most part but also trying not to avoid him. he prepares his own breakfast and talks to Mimi at the table. Yoona comes in with some food for him and he asks Noona what he should do. But before he works, he washes his hands first. His first job was straighteneing the towel in the bathroom and putting something on the camera. He looks around, the place looks cleaner? Hyori tells him he can rest and eat first, is he looking for something? He says the trashcan. Hyori tells him he works hard and the caption says (just putting the trash in the trashcan). Hyori says he doens’t want to talk about how he looks, but he is handsome. SS says he will be tired of hearing it soon and BG says he isn’t tired of hearing it and laughs. SS says he is tired of hearing it and Hyori gives SS a kiss and tells him that he is handsome. SS does a wolf kid move from Song Joon-ki’s move and Hyori tells Yoona that SS is Song Joon-ki from his wolf movie. then all the workers at the meenbak sit and eat with Bogum. Yoona asks BG to open a container for her, so he does and Yoona smiles. They talk a little bit and then Hyori comes in and sits next to BG. She looks so shy as she sits next to him. But then she returns to normal as she stats eating. BG says he wants to learn how to surf and Hyori tells him that they have some surfers there. BG will only be there for 3 days and 2 nights. All the while, BG is eating a lot. He finishes all the food he has and Hyori and Yoona notice. they are pretty happy that he ate it all. The young girls aren’t able to get a taxi, they are having problems going to the beach. BG asks them where they are going and they say they want to go to the beach and eat. SS tries to call the taxi services but it looks like the taxi can’t come there. Perhaps the hill is too steep in the snow. BG says he can drop them off. All the girls get super duper happy and shocked and like they might die. SS tells them that the taxi can come there but it was a joke. BG will drop them off. BG puts on his jacket and gets everything ready to drop of the girls who are super happy to be dropped off by BG. Daejun FinKL goes to the beach with BG as their driver. BG checks the directions and then they take off. Thanks for the recap. I know how swamped you guys are with all the shows you’re doing right now, so I appreciate the effort you’re making to still cover Hyori’s Bed and Breakfast. If the comments are indicative of its popularity, I imagine this show’s recaps aren’t getting a lot of eyeballs. Anyway let’s get down with my thoughts — I have a few. (1) I think it’s hilarious that Hyori seems to spend at least a quarter of her time this season in her pjs, and her guests seem content to lounge and wander around in theirs, too, on national tv, no less. (2) I thought it was cool that the medical team is comprised of male nurses. I wouldn’t be surprised if that’s what got them on the show. But it’s awesome to showcase regular guys who are comfortable doing jobs traditionally associated with women. And from the sounds of it, they work some seriously long, grueling hours. (3) Even though Hyori’s food looks amazing, I keep wondering about the quantity. I don’t consider myself to be a big eater, although on occasion I can pack it in, but her food doesn’t appear to be enough to adequately feed a bunch of grown people. Do any of them sneak off and eat other food or wish they had an extra serving? Or am I the only one who ponders this? (4) I was iffy about the group of young women but I liked how they asked Hyori for permission to film at her house and how they handled themselves around Park Bo-gum. Yeah, they were giggly, but at least they didn’t gape at him like he was zoo animal (like the judo athletes did with Yoona). Maybe I’m just becoming a curmudgeon. (5) I’m conflicted about the selection of Park Bo-gum, because this show will help burnish his good guy image. He’s a great actor and appears to be the sweet, considerate person that he’s reputed to be. On the other hand, I really have an issue with his very close affiliation with his cult. Obviously he doesn’t think there’s anything wrong with his “church” but he is aware that many people consider it to be a cult. So I find his inability to recognize and understand that he shouldn’t promote something controversial (in this case, his church) to be problematic, especially since he has a lot of sway over his young fans. Ugh! I watch this show now so I should try to comment more. I watched a little of season one as well. I love how they have a lot of guests, but i think the staff is too overwhelmed with the number of people they are taking care of so they don’t have enough time to actually hang out with the guests like they did in the first season. Hyori being a little sick might have something to do with it, they don’t have enough room to sit at the table, Yoona doesn’t sit and party with everyone all night like IU did. All that combined make me feel like the guests and the help are very separate. With that said, I like the guests they have this season! A judo team, surfers, male nurses and their surgeon, an opera singer/sister duo, bubbly 20 somethings. They all look like they have something to tell and I really want to know why they were picked out of everyone. That spa is insane and I want one. I mostly just love how it looks, though. I am so iffy about Park Bo-gum and his religion/cult too. But at least he doesn’t advertise it to the world. I feel like that was something that was found out about him and not something that he shared? I might be wrong about that though. I am happy that he is on the show since he is one of my favorite actors of his age group. It was so funny when he showed up and Hyori was all like…I don’t have to go to Seoul anymore. I agree it’s evil what the producers are doing with the overload of guests. I don’t like it because I feel like it’s a cheap move to keep viewers interested. Part of the charm of the first season was you got to know the guests, follow them on their jaunts/advertures to different parts of the island, and watch their interactions with Hyori, Sang-soon and Ji Sun (IU). Admittedly, the winter conditions have prevented the guests this time from going out, but we could spend more time learning about the guests. For example, it was interesting to discover that the detective originally studied hotel management but then went into a completely different line of work. I think the producers select the guests based on at least 1 of 2 criteria: (1) are they interesting and/or (2) are they doing anything interesting. This season we have winter surfers and the sisters who did the historical tour, which most island visitors aren’t aware of. The interesting guests include female judo athletes, male nurses, winter surfers and young women who are about to start the next big step in their lives (college) and are very much part of their generation (taking pictures and videos all the time). Overall the producers have done a great job in selecting their guests. Everyone is different, but nearly everyone is also pretty normal and relatable (to each other and to viewers). I love that spa, especially the wood for a rustic feel and look. Yes! Good Lord, let the team rest a little bit. They look so overworked, so I can see them wanting their alone time. It is probably tiring to have the guest at the house all day long too (with the storm). Hyori and everyone probably feels like they are “on” all the time. I do love all the slow motion videos they do though, and all the apps that Yoona finds, those are really fun. Hopefully they will have a chance to talk with more of the guests soon. By the way, welcome, Handily, to Hyori’s comments section. I’m trying to make an effort to contribute too, although I’m kind of busy these days. That reminds me, I need to go back and add a comment to an earlier episode, even though it’s kind of late, but I feel weird discussing in this episode’s comment section about something from a previous one. I should tell Handily welcome too! Don’t feel any pressure to comment, I know how busy life can get 🙂 Whenever you have the time is cool 🙂 I just love that more people are watching this show. Well, I want to make an effort to comment, partly because I want to encourage dialogue. I know some people are encouraged to participate if they see others doing it too. I’m like that sometimes as well. Also, by commenting, I feel like it’s my way of acknowledging you (V — and O) and the large amount of work you guys have put into recapping this and all the other shows. Lastly sometimes I just have to get stuff of my chest — like the Park Bo-gum predicament that I feel. Yikes. By the way thanks, V, for trying to participate in the comments too. Actually, last fall there was an issue with Park Bo-gum — I guess you weren’t aware of it (you can google it). He had promoted on social media (to his fans/followers) a prayer assembly for his church (cult). He got a lot of flak from people because his church is widely viewed as a cult and the concern is that young impressionable (and vulnerable) fans would be inclined to participate. This why I’m conflicted about him and wonder about his incomprehension about his influence. I already knew about his association with the “cult” but I assumed he would be tactful in the public sphere. Instead he couldn’t understand the outcry. On the other hand, even if he wasn’t part of cult, I do have issues with celebrities promoting personal causes and such. They have a lot of influence and there’s a very fine line between advertising their work/image/etc. and their personal beliefs. He’s starting to remind me of Tom Cruise. Nice guy, hard worker, but unfortunately tied to a cult. Oh wow, I didn’t have a clue about that either. Yeah, I try to shy away from people promoting beliefs a lot. I can understand people promoting a general belief in whatever they believe in (bible verses or just being thankful or something like that), but not a call to worship or anything like that. Hopefully he took note of the outcry and will keep it close to his chest in the future. He can always keep those things on his personal fan page. But that also could get him into trouble with bringing people into a cult. Well, generally, Tom Cruise keeps his nutty Scientology stuff under wraps. We only know about it when video is leaked of wacky Scientology events or from testimonials of ex-members. But then there are those moments when he’s jumping on white sofas and denouncing the use of medication to treat postpartum depression (because Scientology doesn’t believe in medication). So, I don’t think the future is looking bright for Park Bo-gum to keep a lid on his stuff. Maybe he’ll prove me wrong. OMG, I don’t know what happened but this comment made me laugh so much! I just had a visual of Tom Cruise and somehow linked it to Park Bo Gum. Yes, I hope he is able to keep it under wraps or that his management company is able to keep it under wraps for him. He seems so nice and caring, so hopefully it doesn’t taint his career. Tom Cruise is fine and he is basically the best real world example for PBG. Did you visualize Tom Cruise and Park Bo-gum jumping on Oprah’s white sofa together? That’s a winning image! Well, I hope at the very least his management monitors/controls his social media or heavily restricts his use of it. Enough celebrities have suffered from the foot-in-the-mouth disease, so there’s no excuse for managements/agencies to not be on top of this stuff, especially when its their cash cow. It’s a shame about PBG and his cult, but he has some shady people around him, including his dad. Lol the scandal surrounding Park BoGum reminds me of a curious conversation I had with some Korean students about Church. I was surprised that for many Koreans, church was not so much associated with the Roman Catholic dioceses or Protestants but rather cults. And I can understand the unease because apparently churches are so associated with funds and influence in that country. I’m relatively immune to the PBG craze partly because he’s just so young he reminds me of some of my former students. Still, he might be clueless because when you’re in some religious organization from a young age, you may not be aware of accepting of alternative views. I had an American university mate who started a Christian Union meeting with “if you’re not born Christian, there’s no point converting, you’re doomed to go to Hell”. The immediate retort from another American housemate was “well, see you there then” which was pretty funny since she was born Christian. Now I’m going to go offline and hope no PBG fan mob comes after me. LOL, @JY299, you must have a million stories related to your students. You had so many great one during Hwayugi. Lols at hiding from the PBG fanclub, but then you can always resurface like Myung-woo showing up everywhere in Misty, lol. Haha, lol, I’m a scaredy cat not a investigator/killer. Yup, was wandering around the Bah Doo site and thought to check out this post because one of the soompi recommendations was a post on how PBG helped Hyori get it’s highest ratings ever. Your timing is impeccable. I had only posted my comments late last night. I also wondered if anyone else had the same mixed feeling or concerns. Korea is somewhat known for its plethora of cults. It’s the result of all the upheaval during the last 100 years of Japanese occupation, civil war, the splintering into 2 nations, extreme poverty in the post-Korean War years and then the dramatic rise to what it is today. That’s a lot of change to process and endure in a short period of time, and I have living family members who survived through all of it. For them, this isn’t history that you read in a textbook. Therefore, I don’t blame folks for wanting and yearning for stability and reassurance. Religion provides it, but unfortunately it makes people susceptible to cults. PBG doesn’t do it for me either, but I like him as an actor. And he really does seem to be wholesome and sweet. I don’t wish him ill but I am wary of his influence. Well, after last fall’s brouhaha, I think he now knows that his “church” isn’t held in such regard by many people and I hope his management has convinced him to lay off of promoting religious activities. Cult or not, he should be promoting personal stuff like that. Oops. I missed a typo in my last sentence. It should read: Cult or not, he should NOT be promoting personal stuff like that.